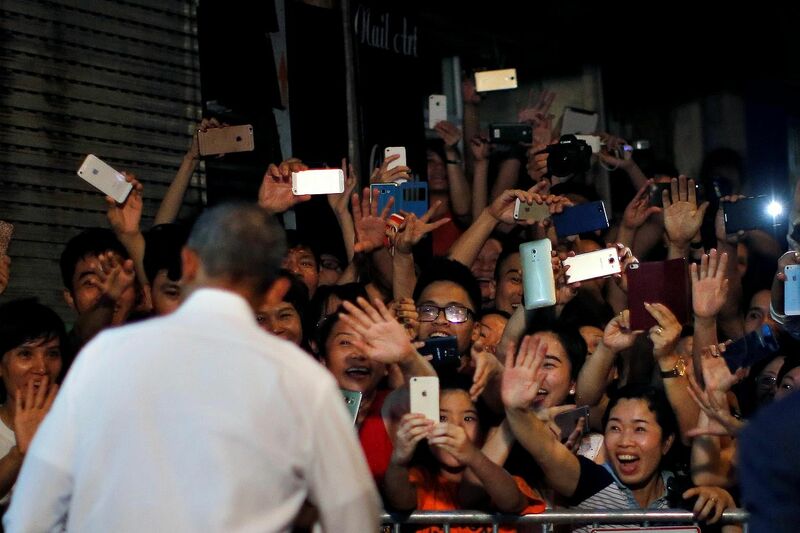 Celebrity chef Anthony Bourdain has shed further light on his US$6 (S$8) bun cha meal with US President Barack Obama last week by sharing more anecdotes of their epic Hanoi encounter. In a posted titled "Six true things about dinner with Obama" on The List App - where he regularly posts his musings - the 59-year-old gave a detailed breakdown of what transpired when the two men were hanging out together, sitting on plastic stools and sharing a meal. Mr Bourdain revealed that the Secret Service "were very cool" about Mr Obama joining him for dinner in a "working class joint" near Hanoi's Old Quarter. Mr Obama skilfully handled the sticky, hard to separate noodles that accompanied the bun cha's pork and broth components. And he loved the food so much that he went for seconds. Describing the President as an "Asiaphile", Mr Bourdain said he spoke wistfully of his time in Indonesia and how he had missed the street food sold there. Mr Obama "clearly enjoyed" perching himself on the flimsy blue stool, claimed Mr Bourdain. "It felt to me like his night off. Even with Secret Service lurking nearby," he wrote. 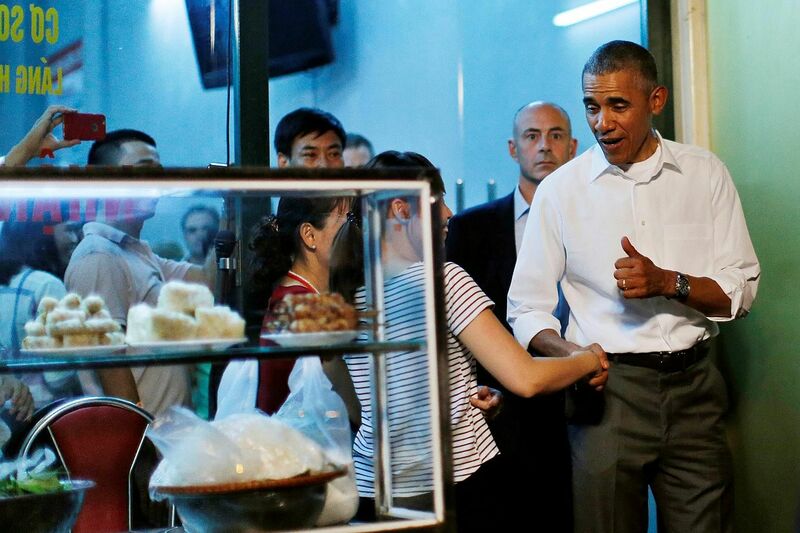 The profound effect of Mr Obama's visit to the humble restaurant extended into the streets of Hanoi, said Mr Bourdain. "People were actually crying the next day, describing to me their shock and their pride, the reactions of their neighbours, to this completely unexpected choice of meal - and the venue," he added. For all his filming experience, Mr Bourdain was touched that his illustrious dining companion turned out to be one of the few guests on his show to show concern for the camera crew, asking if they had eaten. Mr Obama even went out of his way to pose for a picture with them after the meal. The sight of a relaxed Mr Obama knocking back that beer bottle with evident relish could only mean one thing: "I believed he enjoyed that beer."